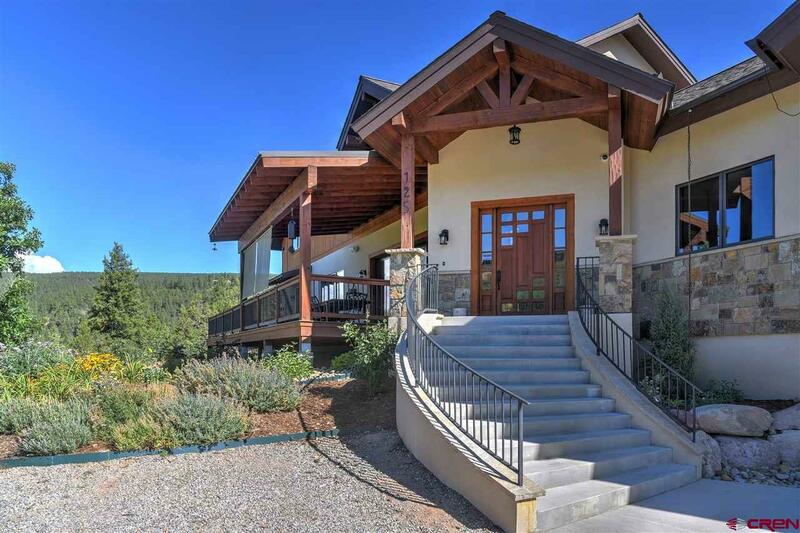 With sweeping views of the valley and La Plata mountains, this spectacular contemporary mountain home is a dream. Built in 2017 by award winning Elevation Custom Builders, this four-bathroom, four-bedroom (plus flex room), 4,793 square foot home has a sprawling floor plan, and impressive sunshine throughout. The home welcomes you into an open great room, dining room and gourmet kitchen. The kitchen is the focal point, complete with custom granite countertops, Sub-Zero, Wolf, and Kitchenaid stainless steel appliances, a large walk-in pantry and custom soft close cabinets. A nine-foot island with breakfast bar, microwave, and plenty of storage is in the center. 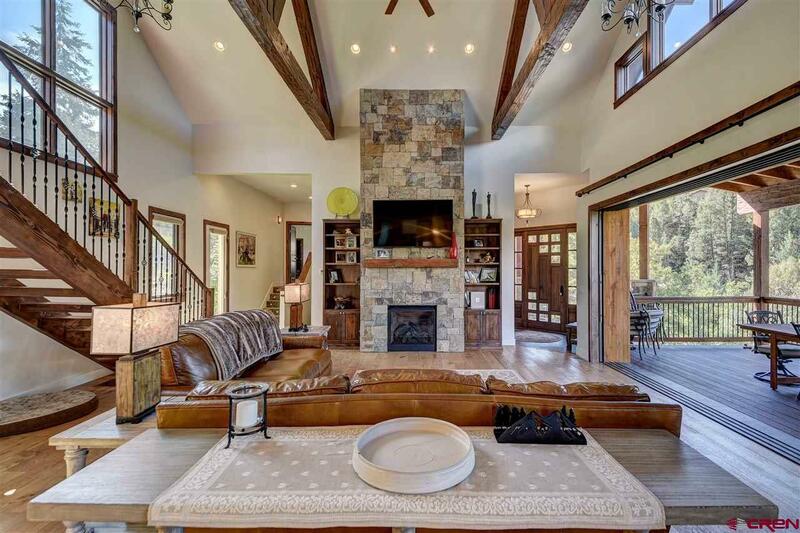 Nearby sits the airy great room, complete with ornate gas fireplace and adjoining dining room, with a granite bar. For elegant entertaining or outside family dinners, the interior can be instantly transformed into a stunning indoor/outdoor living space. The floor-to-ceiling windows tuck into the wall, opening the space to the delightful mountain view deck. The master suite has incredible mountain views right from your bed. The master bathroom has a beautiful soaking tub, large steam shower with dual shower heads, and a spacious walk-in closet with ample storage. Access to the hot tub deck is easily accessible through the main master suite. The king guest suite is complete with beautiful guest bath with a subway tile shower and bidet. 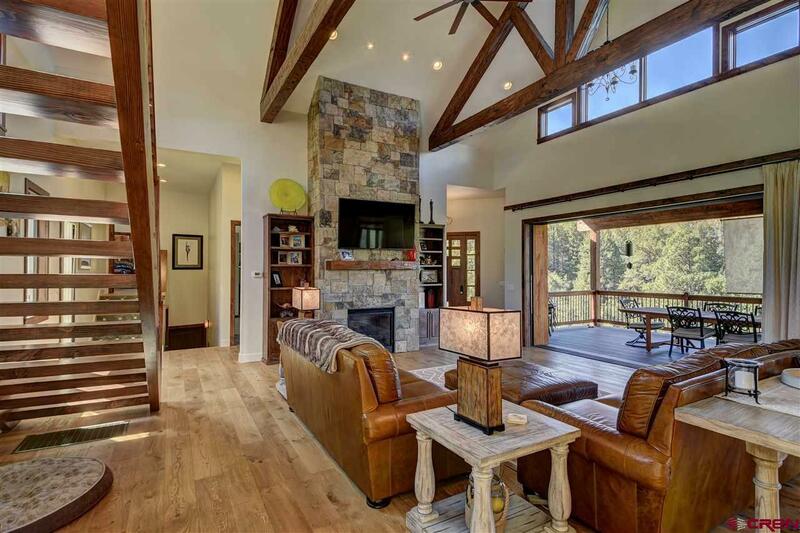 A large great room, with cozy wood-burning fireplace and private balcony, allows for additional privacy. A modern contemporary staircase arrives at two large bedrooms with an additional bath between. A nearby great room with a separate oversized office has mountain views and private balcony. The house also has a generous laundry room with perfectly built "cubbies, a wine cellar, and power room, a connected oversized three-car garage. Smart technology seamlessly controls the home and can be accessed by your phone. A custom backyard fire pit, drip irrigation, and extensive river rock work landscaping make the exterior superior to most. Nested in the lovely Legends at Ute Pass Ranch neighborhood, this home is located on a 1.47 acre lot and is only three miles from downtown Durango. 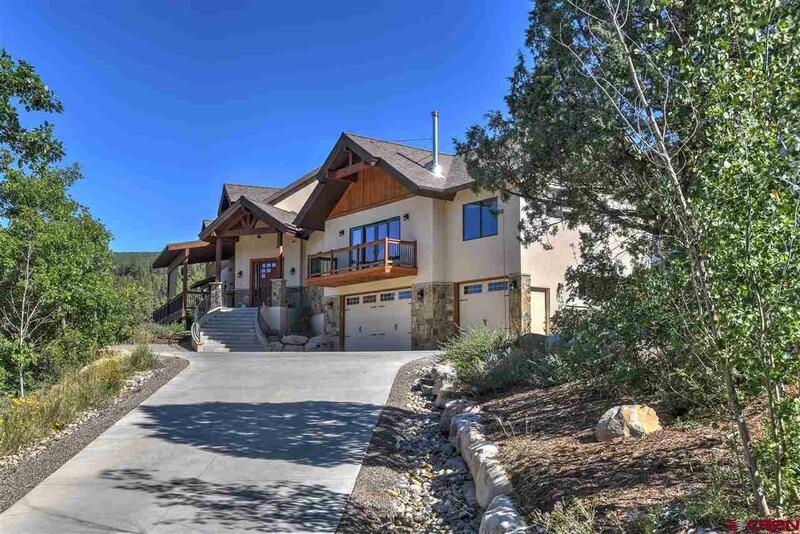 With the distinguished craftsmanship and mountain views throughout, this home is a dream.